Mulan and the Three Little Pigs headline Disneyland Resort’s Chinese Lunar New Year celebrations, which kick off January 25 across the Anaheim, California park. For 24 days, Disneyland will celebrate the Year of the Pig with special processions, food offerings and entertainment that highlight Asian culture and traditions. Disney’s Chinese heroine, Mulan and her dragon Mushu host a special Lunar New Year parade with special guests the Three Little Pigs — Fiddler, Fifer and Practical — in honor of the 2019 Chinese zodiac sign, the pig. 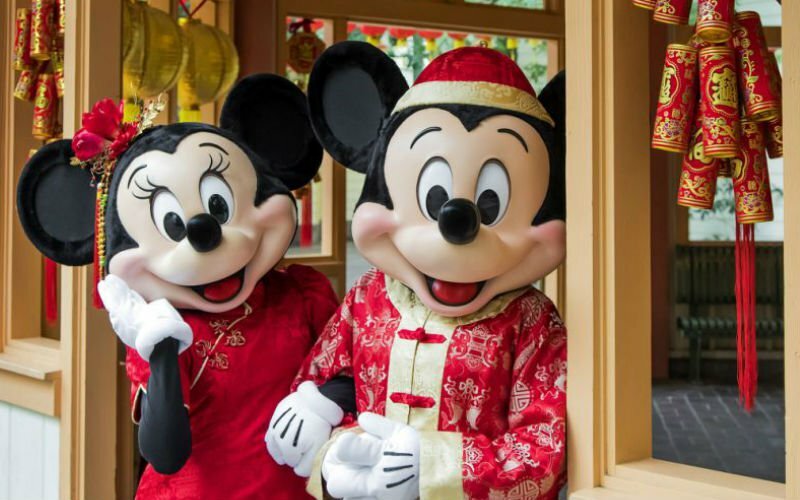 Other popular Disney characters including Goofy, Chip ‘n’ Dale, Pluto, Mickey and Minnie Mouse will also don red and gold attire — the colors of prosperity in China — in honor of the festivities. A quartet of Asian marketplaces will offer menus inspired by Chinese, Korean and Vietnamese cuisines (all three countries celebrate Lunar New Year). Chinese dancing troupes and Vietnamese musicians will also entertain guests throughout the festivities. Other themed activities include Chinese calligraphy lessons, face painting, paper lantern workshops, and a Lucky Wishing Wall for guests. Disneyland Resort’s Lunar New Year celebration runs Jan. 25-Feb. 17.